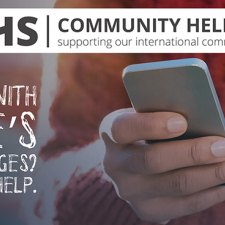 The free Community Help Service 24/7 Helpline 02 648 40 14 provides a listening ear in English to callers of any nationality. Whatever their problem, callers are provided with emotional support and/or general information on an anonymous and confidential basis. No previous experience is necessary as, following the interview process, comprehensive training and regular professional supervision are provided. For more information, please call the CHS office on 02 647 67 80, or email office@chsbelgium.org mentioning “Helpline Volunteer” in the subject line. Should you decide to apply to become a Helpline volunteer, please do not mention your application to anyone but those closest to you, as confidentiality and anonymity are considered essential. We will explain more when we meet you!